Use map zoom to see individual listings more clearly – Click on green circle OR scroll down below map to see full listing information. 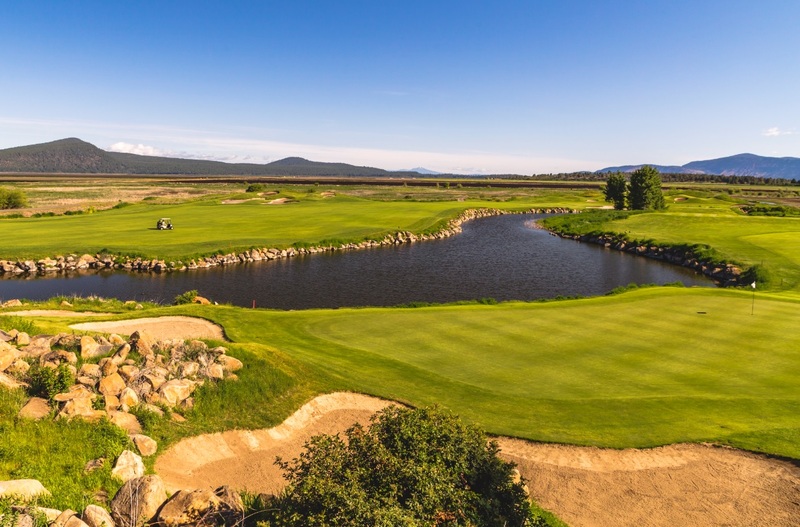 EAGLE POINT (65 miles to Crater Lake) – The course is a premier Robert Trent Jones Jr. designed golf facility located in the small town of Eagle Point. This is a top-tier golf club, featuring a world-class, semi-private golf experience that is open to the public with a limited amount of memberships available. They are located just 10 miles east of Medford in the Rogue Valley. Location: 100 Eagle Point Drive, Eagle Point, OR 97524. Phone: 541.826.8225. 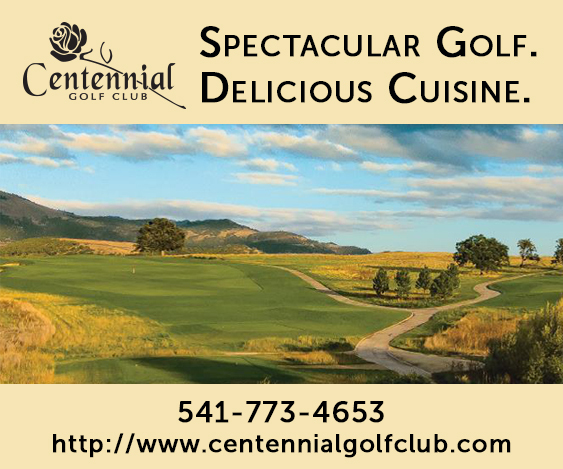 MEDFORD (80 miles to Crater Lake) Centennial features a spectacular course designed by PGA winner and U.S. Amateur Champion John Fought. A classic “Donald Ross style” design, the course boasts an impressive 7,309 yard layout. 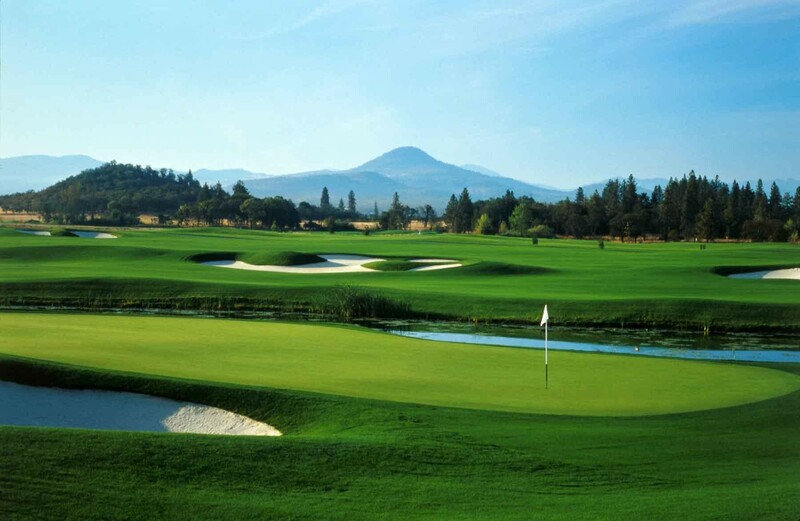 It was named one of the Top 50 Public Courses in the country by Golf World® Magazine readers, top 10 “Best of the Best” in course condition and in quality, plus it is regularly named “Best Golf Course” in Southern Oregon’s Mail Tribune reader’s poll. Location: 1900 N. Phoenix Rd., Medford OR, 97504, Phone: 877.893.4653 or 541.773.4653. 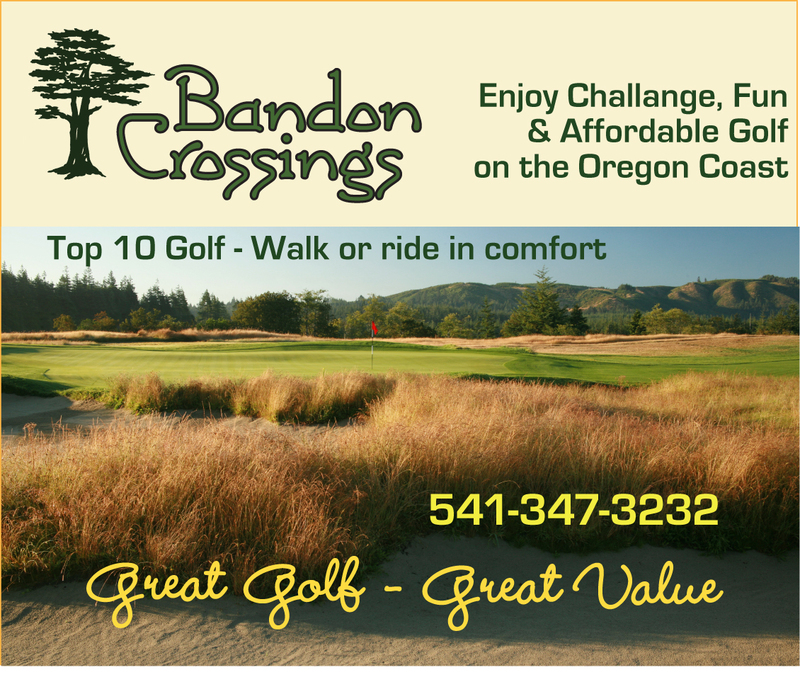 BANDON (195 miles to Crater Lake) – This beautiful and highly acclaimed 18 hole course can be enjoyed either walking or riding. 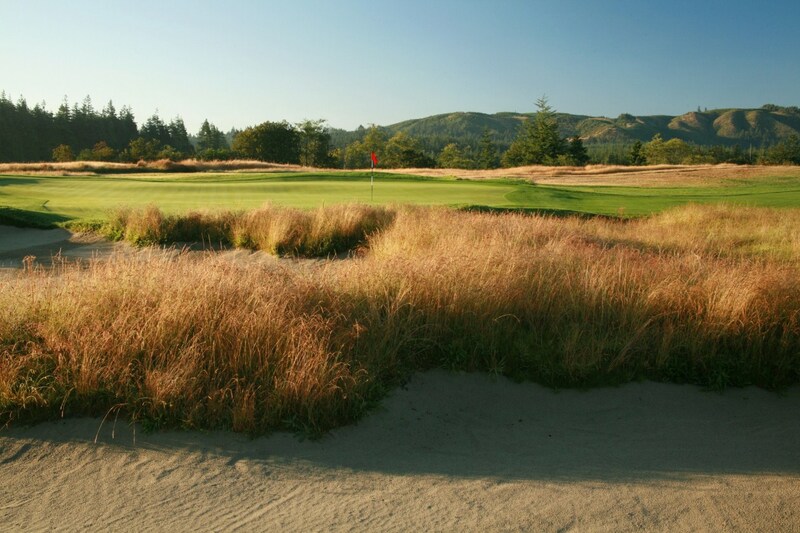 Maintained in excellent condition, it takes it shape from the land itself: “Majestic coastal trees, classically sculpted bunkers and uneven terrain provide the main challenge” says GOLF Magazine, who called it an “Affordable Alternative” to Bandon Trails, and one of the Top 10 New Courses of 2007. In 2014 Golf Guru placed it in the Top 100 Courses in the U.S. Location: 87530 Dew Valley Lane, Bandon, OR, Phone: 1.541.347.3232. © 2019 Crater Lake Oregon - Lodging, Restaurants, Things to Do. Find out about us here. Website design by Creative Marketing & Design.